Athenahealth acquires EHR optimization vendor Praxify Technologies for $63 million. The six year-old company employs 80 at its office in Palo Alto, CA and maintains a development presence in India. Athenahealth CTO Prakash Khot is enthusiastic about the benefits Praxify’s machine learning and natural language-processing capabilities will bring to the company’s cloud-based products. Praxify is perhaps best known for its Mira voice-enabled charting technology. From GraySky: “Re: Athenahealth/Medhost deal. Athenahealth is in due diligence conversations to acquire all or part of the Medhost products. It’s looking to get access to the small community and rural hospital market that Medhost has access to with its inpatient and ED solutions. Cerner officially passed up Medhost late last year after doing due diligence. Valuation was too high in the area of $200M-$400M. Shrinking customer base that includes only a few large customers that are evaluating conversion to Cerner or Epic. Aging product suite.” Athenahealth declined to confirm or deny. This week on HIStalk Practice: Siemens Healthineers finalizes its acquisition of Medicalis. Merritt Hawkins releases its annual physician recruitment/salary report. Mindcotine hopes to use virtual reality to help smokers kick the habit. Brad Boyd outlines ways to leverage MACRA to support long-term strategic goals in the Consultant’s Corner. Plaintiff dismisses lawsuit against MDLive. Hematology-Oncology Associates of Central New York nearly suffers a $250k loss due to clerical error. Salus Telehealth finds an untapped telemedicine market in summer music tours. EClinicalWorks adds telemedicine capabilities to its app. Thanks for reading. Former CMS Chief Data Officer Niall Brennan joins the Health Care Cost Institute as president and executive director. Digital diagnostics services company Analyte Health appoints Kevin Weinstein (Valence Health) CEO. Former CEO Frank Cockerill, MD will take on the position of CMO. Einstein Healthcare Network (PA) selects Teladoc to help it jumpstart a telemedicine program that will initially focus on the health system’s 8,500 employees. 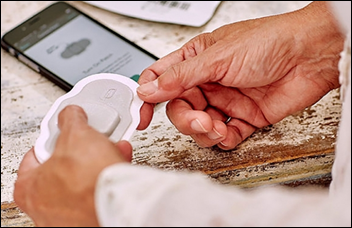 Rush University Medical Center (IL) starts a three-month pilot of Proteus Digital Health’s Discover smart pill sensor, one that is added directly into traditional pills. The sensor detects when the pill has been ingested via a patch worn on the patient’s stomach, and then sends a signal updating an app with medication adherence data. Humber River Hospital in Toronto works with GE Healthcare to build a 4,500 square-foot digital command center that will aggregate and analyze real-time data from systems across the hospital to help improve staff workflows and patient care. Meditech adds MModal’s Fluency Direct speech-recognition dictation capabilities to its Web EHR. 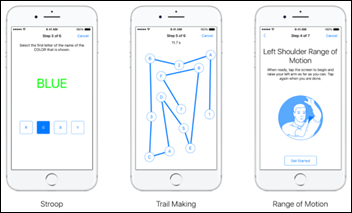 Apple updates the ResearchKit app to include new tests related to range of motion, and selective and visual attention. Cerner will integrate CareVive’s care planning software with its PowerChart Oncology EHR. 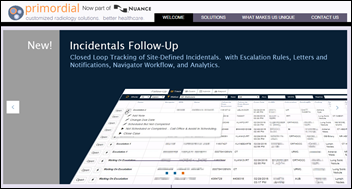 Nuance adds PowerScribe Workflow Orchestration and PowerScribe Lung Cancer Screening to its line of screening program tools for radiologists. Nuance seems to have quietly acquired San Mateo, CA-based radiology solutions company Primordial, its partner in developing the aforementioned technologies. 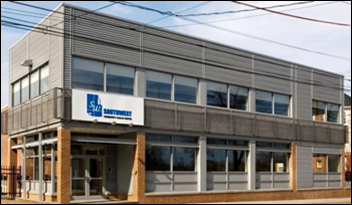 Southwest Community Health Center (CT) notifies patients of a potential data breach resulting from two separate break-ins during which burglars took several computers. No mention is made of whether or not the devices were encrypted. The center is offering affected individuals free identity monitoring and restoration services. Mississippi’s Medicaid Division alerts 5,220 people of potential PHI exposure stemming from six online forms managed by a third party that were sent to staff via unencrypted emails for nearly three years. Public school guidance counselor and West Carolina Counseling Services owner Joseph Korzelius admits to using information from his sessions with elementary students to file $450,000 worth of false Medicaid claims. He faces up to 10 years in jail and a $250,000 fine. 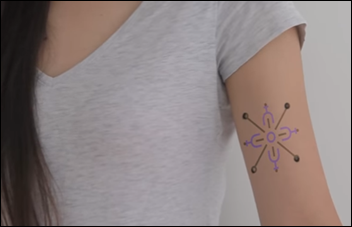 A team of researchers from MIT and Harvard develop a proof-of-concept tattoo ink that changes color based on metabolism changes in the body, allowing the tattoo to act as a low glucose or dehydration indicator. 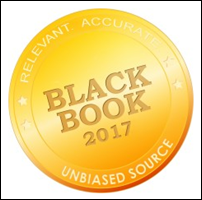 A Black Book survey finds that an overwhelming majority of hospital executives and managers will ultimately look to population health management-focused IT as patient accounting systems as they continue to shift their organizations to value-based care. Allscripts, Cerner, and Epic seem to have the most mindshare of those surveyed. President Trump decides to keep Francis Collins, MD on as head of NIH, a position he has held since 2009. A VA spokesman confirms that Cerner will replace only the agency’s EHR, and that Epic’s $624 million contract to implement an appointment scheduling program for the VA is not in jeopardy. HHS appoints Bruce Greenstein CTO. Greenstein was most recently president of behavioral health tech company Quartet Health, and served under Louisiana Governor Bobby Jindal as secretary of the Dept. of Health and Hospitals. The Government of Nova Scotia narrows the field of contenders for a “One Person, One Record Clinical Information System” to Allscripts and Cerner. Based on the procurement listing sent over by HITGeek, it looks like they beat out Evident, Harris Healthcare, and Meditech in preceding rounds that began last December. 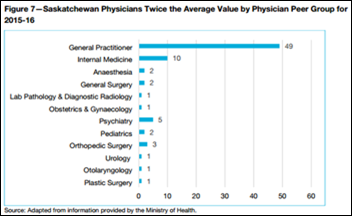 In other northern health IT news, the provincial auditor of Saskatchewan recommends the Ministry of Health replace its 50 year-old IT system with one that can better screen the billing activity of physicians that are still paid on a fee-for-service basis. The auditor also recommends the development of standard criteria to more efficiently identify physicians whose billing practices should be investigated. E-prescribing of controlled substances increased year over year by 256 percent, according to the latest progress report out from Surescripts. Nearly 75 percent of prescriptions in 2016 were electronic, totaling 1.6 billion. Meditech customers lead lists of five-star and double five-star hospitals. 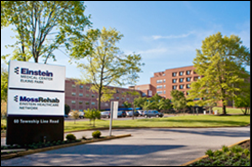 Liaison Technologies will exhibit at the Cerner North Atlantic Regional User Group June 12-14 in Springfield, MA. MedData will exhibit at the Ohio Hospital Association Annual Meeting June 12-14 in Columbus. Medecision, NTT Data, RelayHealth, Surescripts, and ZeOmega will exhibit at AHIP Institute & Expo June 7-9 in Austin, TX. Frost & Sullivan recognizes Medicomp Systems with the 2017 Enabling Technology Leadership Award. National Decision Support Co. adds Society of Nuclear Medicine and Molecular Imaging Appropriate Use Criteria to its CareSelect Imaging system. Navicure will exhibit at the NJ MGMA conference June 14-16 in Atlantic City. Experian Health will present at the HIMSS Brand IT Marketing Conference June 15 in Las Vegas. YourStory.com profiles GE Healthcare’s efforts to bring healthcare accessibility and skills to rural areas in India. Apparently, at least two of your geographically challenged sponsors are attending the Cerner North ATLANTIC Users Group conference in Springfield, IL. I hope my company isn’t the only one going to rhe conference in Springfield, MA. Who would I trade trinkets and war stories with at the Sheraton bar? I bet McKesson would be glad to sell Athena the copyright on “Horizon” or would “Web Horizon” even be an infringement? 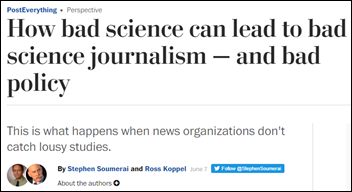 I may be wrong, because the paywall prevents me from seeing the whole article, but the WashPo article seems to be referring to ACOs and not EHRs.